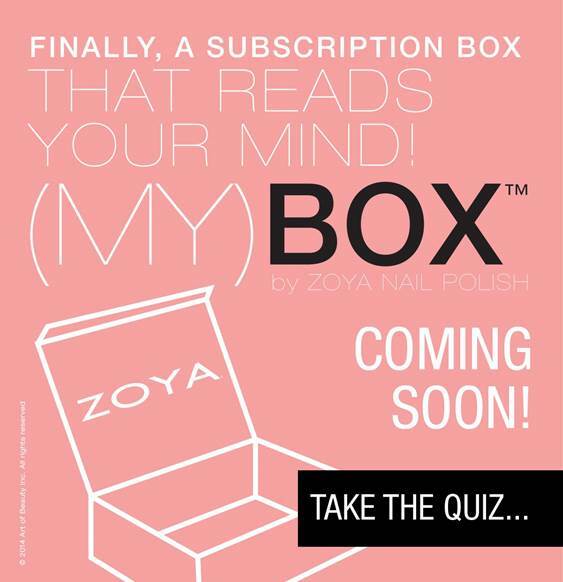 Zoya: My Box- Subscription Coming Soon! Visit Zoya.com for more details on My Box subscription. What do you guys think of Zoya's latest idea? Do you guys want to see what Zoya Box I got?